Skyrocketing costs bury Southern Co.
An inside look at the containment unit in Plant Vogtle's Unit 3. Photo courtesy of Georgia Power. The financial fallout of Toshiba Corp.'s nuclear construction business has now hit Southern Co.'s nuclear expansion project in Georgia. Meanwhile, the Atlanta-based energy giant said its next-generation coal project in Mississippi still needs a couple of weeks before it is fully operational. Those were just two of the major announcements from Southern as it reported its 2016 earnings yesterday. The company also filed a 900-plus-page annual report with the Securities and Exchange Commission, and its Mississippi Power subsidiary submitted an economic viability analysis on the Kemper County energy facility. The power plant will be the first large coal-burning power plant in the United States to capture and store the majority of its carbon dioxide. The project is more than three years behind schedule and more than $4 billion over budget. Kemper is now scheduled to be fully operational by mid-March, Southern said. The most recent delays had to do with removing coal ash from the second gasifier. The power plant will turn lignite coal into synthetic gas and is expected to capture 65 percent of its carbon dioxide emissions. "We thought about trying to push for in-service right at the end of January, but what we recognized is that when we declare in service, we want it to be in service," Southern CEO Tom Fanning told E&E News. As Kemper edges closer to startup, Mississippi Power is preparing a multibillion-dollar rate case to recover the project's costs from customers. Southern has had to absorb more than $2.7 billion in project costs; roughly $4.2 billion is eligible to be collected from customers per regulatory approval. In the SEC filing, Southern said it hopes Mississippi Power can negotiate a settlement with regulators, but that could mean the company absorbs more of the costs. Perhaps more significant is Kemper's economic viability analysis, which compares the cost of running the plant with a natural gas combined-cycle plant. Kemper can run on natural gas, but the study shows it is uneconomical to run Kemper on lignite fuel and convert it to gas unless natural gas returns to higher prices. Fanning stands behind Kemper as a next-generation coal plant, even though Southern and other utilities dispatch electricity based on cost. "We will deliver a plant that will be generally what was ordered in 2010 by the Public Service Commission," Fanning said. Kemper is one of two major projects that Southern is carrying. Georgia Power's Plant Vogtle nuclear reactors are the other. Toshiba's Westinghouse Electric Co. has told Southern that the schedule for Unit 3 slipped another six months to December 2019, the company disclosed in its annual report. Unit 4's commercial operation date has moved to September 2020. Fanning made it clear several times to analysts that the company is reviewing the schedule and generally disagrees with it. "The company is currently reviewing the schedule in an effort to confirm that these projected dates align with our expectations," he said. Fanning said it could take up to a month and a half "to be where we get to the bottom of what they are doing. There's a lot of uncertainty with their schedule in terms of what we agree with." Chiefly, Fanning pointed out that there are significant productivity increases between units 3 and 4. In short, he said this could mean Unit 4 likely remains on track. "I think Unit 4's schedule remains absolutely under discussion," he said. "And we'll see where this goes." Georgia Power has to file its next cost-and-schedule report for Vogtle, covering the last half of 2016, by next Tuesday. Southern spokeswoman Lauren Claffey confirmed that Westinghouse gave revised forecast in-service dates to Georgia Power over the past week and that the utility will include that information in the upcoming report. Georgia Power and its lawyers have repeatedly told utility regulators in public hearings that the commercial operation dates for Vogtle have not changed. Claffey also said the company's expectation remains that the contractor will finish the project by the end of 2020. Georgia Public Service Commission Chairman Stan Wise said Georgia Power briefed him of Westinghouse's schedule changes last week. The company made it clear it did not accept those changes, he said. "I think they are doing their contingency planning on a lot of different fronts right now," Wise said. "Maybe it's more 'what if' planning." There are several key dates for Vogtle. The first is June 2019 and 2020. Those are the dates in which Westinghouse must finish units 3 and 4, or it will pay liquidated damages to Georgia Power as part of a wide-ranging settlement agreement between the companies. The second is December 2020. If both of Vogtle's reactors aren't producing electricity by then, Georgia Power faces a cut in its rate of return on equity, as part of a separate agreement between the utility and the PSC that involved the project's increased costs. It is this date that commissioners and Southern focus on, and officials from both pointed out that Westinghouse's proposed new schedule is still within that time frame. "Even if there is some slippage, I think the point that was made was that it was still in the 2020 timeline," Wise said. "Or there are significant new penalties." 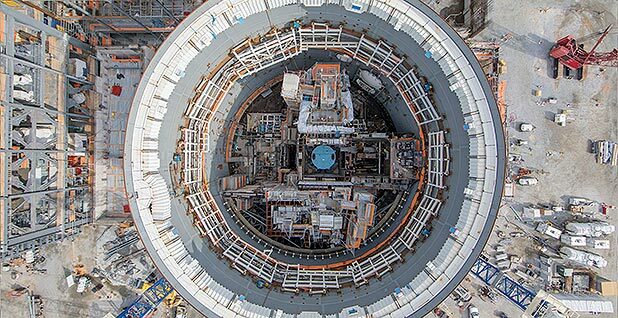 There is much discussion over Vogtle's cost and schedule after Toshiba said last week it would book a $6.3 billion write-down from its nuclear construction business, which is tied to Vogtle and a project in South Carolina. Scana Corp.'s South Carolina Electric & Gas Co. announced its units at V.C. Summer were roughly eight months behind. Executives also said they were reviewing all options on how to finish the reactors if Westinghouse cannot. Toshiba and Westinghouse have told Scana and Southern that they intend to see the projects through. Analysts asked about Scana's eight-month delay and its plans to look for a new contractor or to serve as one itself just in case. Fanning dismissed the questions, saying it was best that Southern stay focused on Vogtle and not compare the two. The company has roughly 400 people at Vogtle in oversight positions, Fanning said, and Southern can step in "if and when we need to" and finish the projects, making it clear he didn't think that would happen. Fanning's optimism comes from Toshiba's steps to shore up its finances and its focus to improve work productivity and efficiency at Vogtle. Toshiba's CEO said last week that Westinghouse will need an additional $6.1 billion to finish the U.S. nuclear projects if productivity remains at the same rate.